Editor’s Note Janiss Garza runs FitCat Publishing, a small publishing company, and is the ‘human’ behind the blog www.sparklecat.com, which is written in the voice of Summer, a therapy and urban adventure cat. Summer will be at the Cat Writers Association Conference June 7-9 in Houston and will likely be in attendance at Garza’s educational session. (New York – May 4, 2017) The Cat Writers’ Association of America (CWA) will host its annual conference and awards banquet in Houston June 7-9 at the Hyatt Regency North Houston. One and two day passes for educational sessions June 8 and June 9 for veteran and would-be bloggers and writers. One session will be presented Saturday by former rock photojournalist and writer Janiss Garza and her therapy adventure cat Summer. To attend the conference, register here. You are presenting a session at the upcoming CWA conference, “Adventure Cats and Cat Training: What Cat Writers Need to Know”. Will both bloggers and traditional writers benefit from the session? How? I think both will benefit. The adventure cat trend – people taking their cats out in public, and outside in nature for hikes and outdoor adventures – is growing. People, especially younger adults, want their cats to be part of their lives in more ways than before, and they don’t always want to leave their cats home. Fitcat Publishing is your publishing website and your cat Summer’s blog is Sparklecat.com. 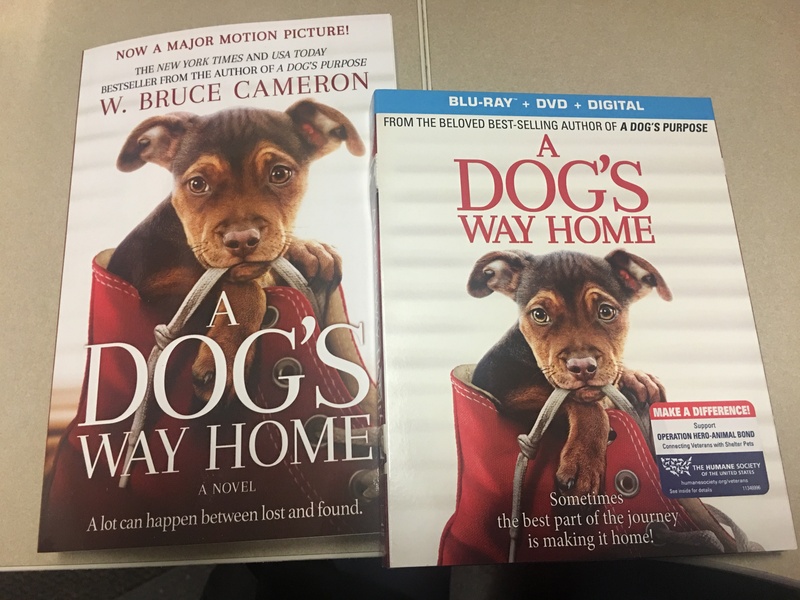 You’ve got two “paws” in very different publishing spaces. Can you tell us how that came about? While sparklecat.com came before the publishing company, I’ve been a freelance writer and editor since before the majority of people discovered the Internet. I started off as a rock ‘n’ roll photographer and journalist in the 1990s and was senior editor of a hard rock magazine called RIP until 1996. I’ve also covered vintage film and fitness, and collaborated on the autobiography of Motörhead’s Lemmy Kilmister, White Line Fever. The blog sparklecat.com came about in early 2003 mainly for fun. It was originally about my first Somali cat Sparkle. After a few months, I wanted to do more than just write about her life now and again so I added a cat advice column (written in Sparkle’s voice), and later on, book reviews. It sort of grew from there. After about three years, I had enough advice columns for a book, which I published under the FitCat imprint. Knowing I was not going to stop at self-publishing a single cat book, I created a company, and had it incorporated in 2008, a couple of years after the book first came out. Ironically, the second book of cat advice from Sparkle was traditionally published! But I have gone on to use FitCat to publish the two Rescued anthologies, each of which included stories from a dozen different writers. I have some other projects in the works. As you can see, it was a rather convoluted process! The blog and the publishing company are sort of intertwined and separate at the same time. Because the blog, now with Summer, is pretty popular, I often use it as a marketing tool for FitCat books, because the type of people who visit her blog are pretty much the target market for cat books. Can you give us some hints on how you taught Summer to ring a bell? What are the kinds of tricks you teach her to do for therapy visits? I actually taught Summer to ring the bell with the help of this YouTube video: https://www.youtube.com/watch?v=Ei4DxOC4iFc (the technique I used starts at around 2:35). She also sits up, gives me High Fives and Pawshakes, turns around, waves bye-bye and jumps through hoops. Somali cats (like their foundation breed, the Abyssinian) are very “handy” with their paws, so it’s not difficult to teach them tricks that use their paws. In fact, the High Five was inspired when I was teaching her to sit up. She kept reaching for the treat I was holding over her head, and I wanted to do something to keep her paws busy. As a result she learned High Five before she learned how to sit up with no paws. Where do you get all of Summer’s darling outfits? I want pink for my cat Cocoa – is there a special pink store? Can you believe I get most of them at PetCo and PetSmart? Mostly PetCo, as we have two that are closer to us than our nearest PetSmart. A few of them are hand-me-downs from Coco the Couture cat (www.cococouturecat.com), and a couple of them I’ve gotten at Pet Expos, at booths selling what they think are dog clothes. Of course, in Summer’s opinion, they are also cat clothes. How have both businesses changed over time? What has been the impact of social media on traditional writing? Summer, on the other hand, goes places, is a certified therapy cat, wears clothes without complaint (in fact, I think she enjoys it), and performs some tricks. She loves meeting people. So the blog has a lot of all that in it. FitCat hasn’t changed that much over time, other than my publishing other authors, starting in 2015, in addition to niche books of my own. I’m not sure about the impact of social media on traditional writing. It does make books easier to market. But I think the quality of writing overall has gone way down. Without so many gatekeepers, everyone thinks they can write, without realizing they need an editor (or several editors over the course of a book), a good cover designer, a business and a marketing plan. I knew all this going in with my first book under my imprint because I had been a professional writer and editor and already had had a book traditionally published before I even started my publishing company. You write and edit traditional books and you write your blog. How is that different? Do you write every day or do you write a few posts and then schedule them? I pretty much write for the blog every day – I consider it a discipline, and I love having a deadline. It’s something I miss from my rock journalism days. When I know I’m going to be busy or I have some extra time and a list of ideas, I might do a few ahead of time. Working on books is a totally different thing. It’s a long form format, and way more formal, even if the writing itself is casual and fun. It’s almost like I use a different, deeper part of my brain for working on books than I do on a blog post. You mention that cats are now used in therapy situations. Has that always been the case? How has people’s acceptance of using cats in therapy changed? I’ve known of therapy cats since the mid-1990s, when I looked into the Delta Society (now called Pet Partners). When I heard of therapy dogs, I wondered (being a 100%, dyed-in-the-wool cat person) whether there were therapy cats. So I went to an orientation to see, and sure enough, they had one! It took me a couple of decades to get my own, but it had always been in the back of my mind. People are more open about having cats do therapy work in hospitals and facilities than before, but there’s still work to be done. A cat that is properly socialized and bathed with claws properly trimmed is at least as clean and safe as a dog. In fact, maybe cleaner, since the majority of cats don’t lick people, whereas dogs do. There are still prejudices to overcome, which is why I think the adventure cat trend is so important. It shows that cats are capable of a lot more than people assume. Therapy cats actually benefit by people seeing cats outside of what was once considered their element (at home only). You brought Summer to BlogPaws in Kansas City, are you planning to bring her to the CWA conference? Yes! In fact, I am going to see if I have her at the cat show on Sunday as a Pet Me Cat. She may even be at the talk. I’ve had her as part of my talks before, and she’s been very good. Maybe better than me! You mention people like to travel with their cat. Can you give us some tips on how you will make travel with Summer easier? I could (and probably should) do a book on traveling with a cat! We’ll be flying, and I have two carriers that have airline-approved dimensions – a requirement if you want to fly with your cat in cabin. For longer flights, like the one to Houston, I will probably use the slightly larger one. Summer is harness and leash trained, so I let her out of the carrier when I’m at the gate, waiting for boarding, and sometimes even at baggage claim if it isn’t too crazy down there. She is much happier being out where people can see her. I imagine some cats would feel more comfortable staying in the carrier, but not her. I’ll have her favorite treats too. I have her use the litter box before we leave, and it’s usually the first thing I set up in the hotel room. The hardest part of air travel for most cat owners is going through TSA because you have to take the cat out of the carrier. The carrier goes through the X-ray and the cat goes with you in your arms through security. Summer’s therapy cat training came in really well for that because she is WAY less disturbed about being in such a chaotic situation than other cats might be. She always wears her harness and ID when I take her through the airport. Thank you Janiss! Can’t wait to see you Summer – and Janiss too! Sign up to attend the conference. For additional information about all the sessions, click here. For the list of Muse Medallion finalists click here. Winners will be announced at the banquet Saturday evening. Great interview! I look forward to seeing Janiss and Summer at the conference.